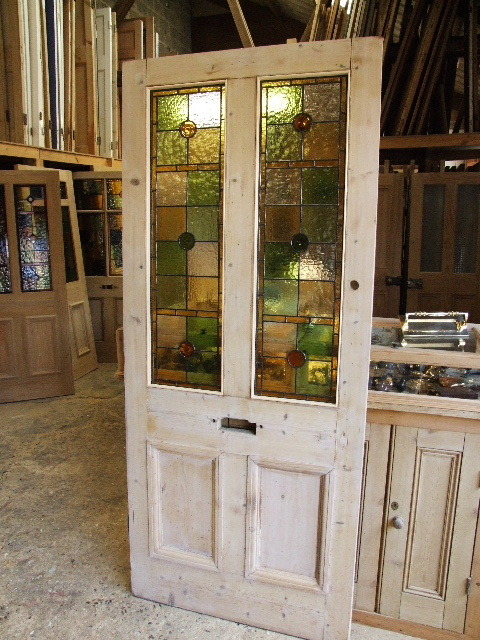 Reclaimed Victorian Stained Glass Front Door With handspun amber and olive rondels. the price of this door has been reduced to take account of this ,if you would like to see a close up picture please contact us. or a new letterplate fitted.